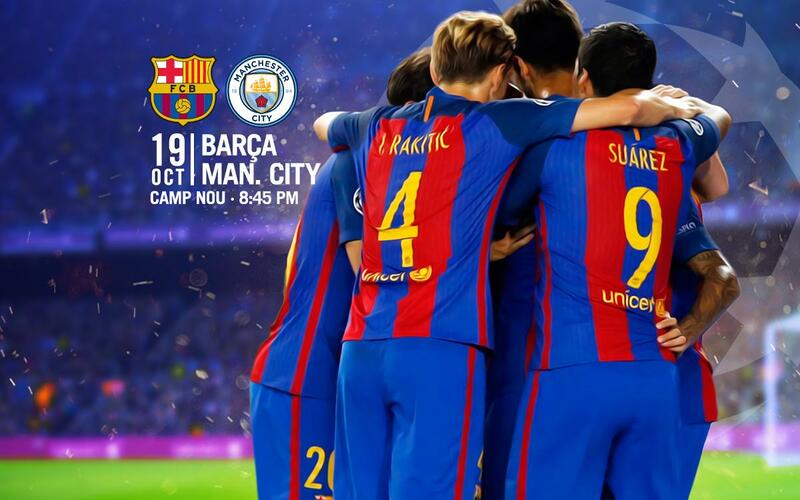 On Thursday 29 September the sale of Champions League tickets for the game between FC Barcelona and Manchester City at Camp Nou on Wednesday 19 October at 8.45pm CET opens for members without season tickets. Those FC Barcelona members will have a 24 hour window to buy tickets for the game from Thursday 29 September at 11.00am CET until the same time on Friday 30 September. From 11.00am on 30 September, tickets will go on sale to the remaining members and the general public. FC Barcelona will have a 20% discount on the sale of tickets which can be purchased via the Club’s official website (www.fcbarcelona.com) or the ticket offices in front of the Museum and the Official shop at Camp Nou between 9.15am and 7.30pm CET. The day before the game remaining tickets will also be on sale at the ticket offices at Access gate 15 and also from 11.00am on the day of the game at the ticket offices at Access gate 4 at the Gol Nord.